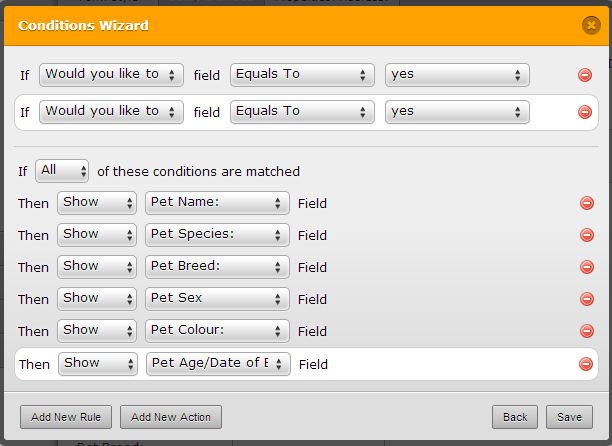 Adding a dropdown box to a form? 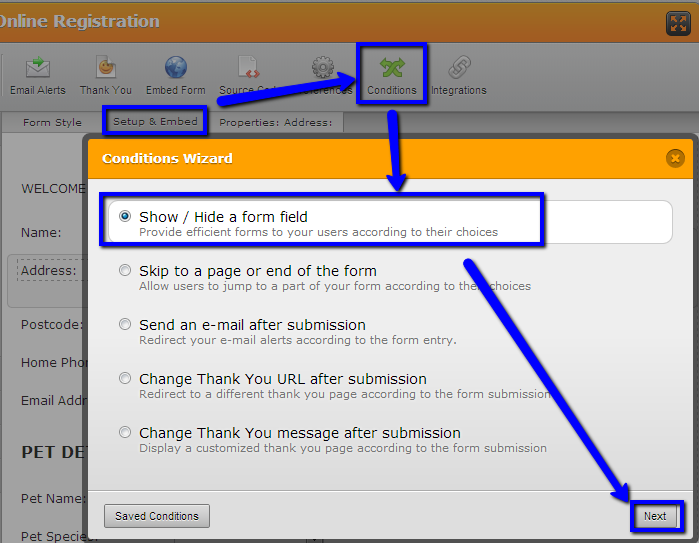 A client has requested this from the form shown below, and I do not know if it is possible with jotform, and if it is, how do I do it? 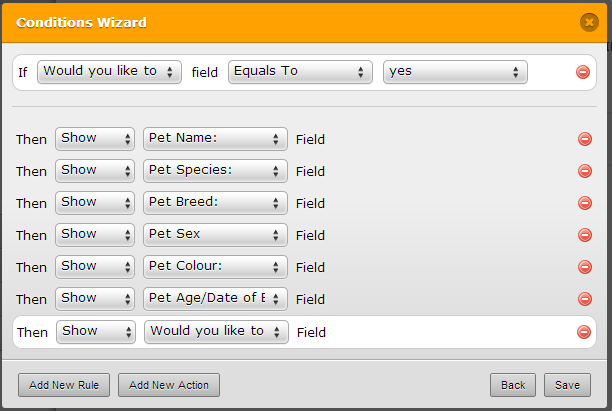 Could we say ‘would you like to add another pet’ and if people click yes, then a further pet details box could open. This could continue until they had registered as many animals as they need to. Please give that a try and let me know if you need further assistance! Anytime! Thanks for using Jotform!